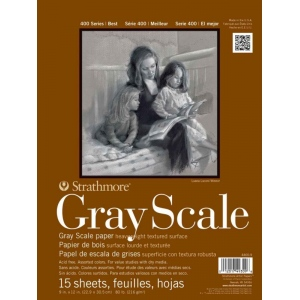 This pad contains textured heavyweight paper in gray scale colors ranging from white to black. 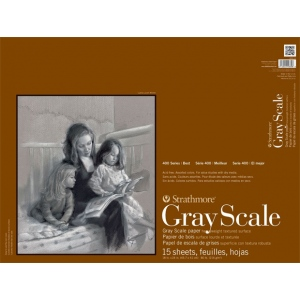 * There are three sheets each of white black and three grays. 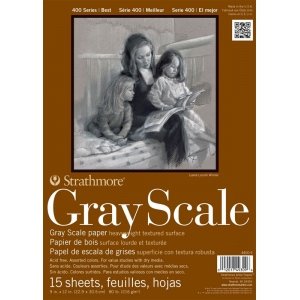 * It is great for value studies using charcoal pastel chalk and sketching stick. * 15-sheet pads with flip over covers.